The University of Alabama has a Passport Acceptance Facility on campus where students, faculty, staff, and the Tuscaloosa community can apply for U.S. passports. For the most accurate and up-do-date information, please see the UA Passport Acceptance Facility website. This service is perfect for students who are preparing to study abroad or for someone who is ready for an adventure at any time. The facility is located in the Printing & Mail Services Building at 325 Kirkbride Lane formerly known as 351 3rd place. It is off of Hackberry Lane, near the Riverside East Parking Deck. 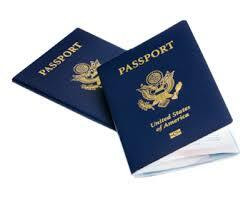 For information about passport fees, please visit the Passport Acceptance Facility Website. Passport photograph – taken within the last 6 months, must meet passport requirements as to size (2×2 in), imagine, weight of paper, finish, and must be on a plain, light background. One passport sized photograph is available for purchase at the Passport Facility for $15.00. Personal Identification – Picture ID (valid driver’s license is preferred). Most government issued picture IDs that have an issue date, expiration date, and signature will work.